A bomb exploded next to a revered Hindu shrine, rocking Thailand’s capital on Monday. The blast has killed 19 people and injured more than 120 people. 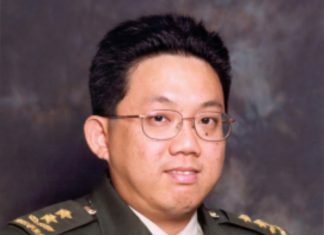 The national police chief Somyot Poompummuang confirmed that 10 Thais had been killed, along with three Chinese, two Malaysians and one Filipino. The rescue efforts are continuing to look for more causalities. The Erawan Shrine is a popular tourist destination especially for visitors from East Asia. The shrine is located in a commercial centre, next to a five-star hotel and three major shopping centres. The area is close to the National Police Headquarters and the police hospital. The explosion occurred in the evening, around 7 pm local time, when the shrine was packed with tourists. People around the shrine were hit by the full force at the time of the blast. The Thai government has vowed to hunt down those responsible behind the attacks. 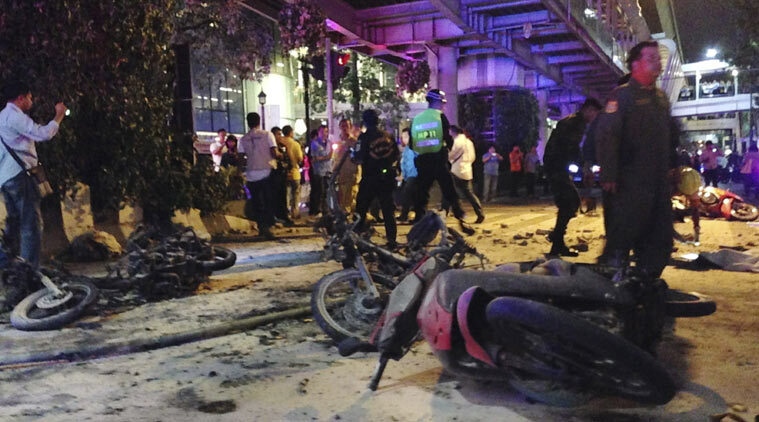 Prime Minister Prayuth Chan-ocha said on The Nation television channel that the government would set up a “war room” to coordinate the response to the blast. He has called an emergency meeting with high-level government officials and military officers involved in the wake of the attack. Authorities have not mentioned whether the bomb had a specific target. According to officials, it seemed that a pipe bomb wrapped in white cloth was placed in the grounds of the shrine and that an electronic circuit suspected to have been used in the attack was found 30 metres from the scene. The local authorities scoured the area for more bombs, worrying that a second explosion might occur. In a separate attack on Tuesday, an explosive device exploded at a pier but no one was hurt. The authorities have not ruled out whether the two incidents are related. So far, no one has claimed responsibility behind the attack. Bomb attacks are extremely rare in Bangkok. While it is premature to say who orchestrated the attack, it might be the work of Malay-Muslim insurgents in the south. The insurgents have been fighting against the Thai government for over a decade. But, their insurgency is largely concentrated to the south and they have never targeted the capital before. The affiliation between Thai militants and the so-called Islamic State seem bleak. The capital has also been divided by intense and even violent rivalry between political factions for over a decade. The political turbulence has driven some low-level bomb attacks by rival factions in the past but nothing on this scale. The military junta took over the country in May 2014, deposing an elected government following months of social unrest. The capital has been relatively calm since then.